There has technically not been a Charles III of England or Scotland, but it would depend on who you speak to. On December 31, 1720, Charles Edward Louis Casimir Sylvester Severino Maria Stuart was born. He was the Jacobite pretender to the throne after the death of his father, another Jacobite pretender, James III of England. Many people will know of him referred to as Bonnie Prince Charlie, and was the grandson of James II of England. How Could Charles Stuart be Charles III of Great Britain? Bonnie Prince Charlie was the eldest grandson of James II of England, born of the eldest son of the King of England (James). 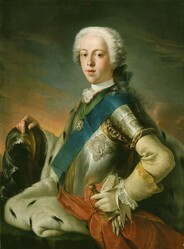 James Francis Edward Stuart had two older half-sisters, Mary and Anne, but despite that should have been the King after the death of his father. James II was deposed by his son-in-law, and move that the English and Scottish people favored. William of Orange and his wife, Mary, were Protestants, while James II was Catholic. Had James kept his throne, the crown should have passed to his son, and then his grandson; making Bonnie Prince Charlie, Charles III of England. Whether the people would have wanted that and revolted is another question. But there were people who did want that, hence the Jacobite movement declaring the young Stuart as the third King of his name. Charles Stuart was born into a family that enjoyed debating the line of succession. Charles Stuart was born in Italy to Prince James Stuart and Maria Clementina Sobieska. His grandfather had been exiled in France but his father has been given a home in Rome by Pope Clement XI. Clement XI favored the Jacobite cause since he wanted England and Scotland to return to the Catholic religion. He was raised as a Catholic Prince, and kept many of the privileges expected of a boy of royal birth. His family taught him the Divine Right of Kings, which meant that his father should have been King of England and Scotland—not his aunt at the time, Queen Anne. The discussion of the crowns and who rightly held it was constantly a topic of conversation and debate, so it is no surprise that Charles believed he was the rightful heir to the kingdoms. The kingdoms of Scotland and England joined before Charles' birth in 1720. By the time Charles was born, the countries of England and Scotland had finally officially joined. They were now known as Great Britain. However, that did not stop the Jacobites wanting to place their “rightful king” on the throne. It also did not stop Prince Charles wanting to take back what he believed to be his. When Charles was just 14 years old he saw his first warfare. He watched the siege of Gaeta. 10 years after that, the cause was strengthened further by France supporting it once again. Charles, now 24, used that to his advantage. He travelled to France to gain troops and invade England. The only thing that stopped him was a storm. By the end of the storm, the British realized what was happening and regrouped in the Channel, stopping any further attempt for the time being. Charles III simply saw this as a hurdle to get over. Many of the highland clans in Scotland supported the Jacobite cause, even those that were Protestant. Charles used this to his advantage and landed there. He took the newly gathered troops to Edinburgh, which was under the control of Lord Provost Archibald Stewart. The city surrendered to Bonnie Prince Charlie, and it meant he could continue his march south and into England. Bonnie Prince Charlie lost the war with Britain after making a big mistake when fighting on English soil. Charles made one big mistake: not listening to the advice of those who were more experienced. Instead of sticking to the hills and uneven terrain, Charles opted for flat, open and marshy ground. Despite initially seeing success, the troops failed to defeat the English army and Charles was forced back into exile in France. He remained there for the majority of the rest of his life. The Stuart cause was lost. The British crown had now passed onto the Hanover line, which was descended from James I of England VI of Scotland. While in Scotland, Charles took on a mistress, who returned to France with him. Clementina Walkinshaw gave birth to one daughter, Charlotte Stuart. However, mother and daughter left after Charles struggled to cope with losing his fight for the crown. Charles started drinking as a way to deal with the situation. He did sign an act of legitimacy for Charlotte later in his life, and gave her the title Duchess of Albany. However, she never did have a rightful claim to the throne. 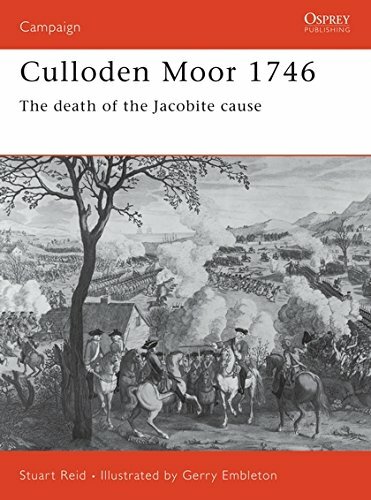 The Jacobite Cause came to an end after the lost battle against England. 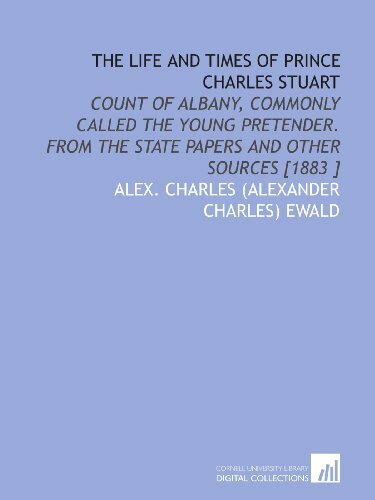 It didn't help that Charles Stuart never had a legitimate child of his own. Charlotte was Charles’ only child, and an illegitimate one at that. Bonnie Prince Charlie had never married, being so focused on his right to the British crown. Even if Charles did gain the crown, the line would have died and the crown would have passed onto the Hanoverian line after all. Of course, this may have been different had Charles not started drinking and married his mistress, making any children between them legitimate. He did eventually marry, but it would be too late for him to have any children. There were later claims in the 1800s that Charles had a legitimate child with that wife, but there is no evidence to support this. Considering Charles signed an act of legitimacy for Charlotte, it would suggest that there were no other legitimate children. Interestingly enough, he did offer to convert to the Protestant faith in another attempt to gain the crown. While he went through the ceremony to convert, by the time of his marriage to Princess Louise of Stolberg-Gedern, he was Catholic again. Charles died in Rome in 1788 and was initially buried in the Cathedralof Frascati, where his brother was the bishop. When his brother, Henry Benedict Stuart, died, Charles’ body was moved to Saint Peter’s Basilica, where his brother was also buried. This was also the burial place of his parents, so the family could be together. However, his heart was left at his original resting place. Thank you, Sue. The plays sound interesting. I may see if I can find them online if Radio 4 does a type of catch up that BBC TV does. Fascinating article. I have recently been listening to The Stuart plays by Mike Walker on BBC Radio 4 and they provide an interesting fictional insight into this period. Keep up the good work - I look forward to reading more of your blogs now that I have found them. Definitely! It is amazing how one decision, battle, or choice could change so much. This is a sad story. How different history would be if it weren't for these little quirks of fate.